With an easy-to-use Web Based Interface, any and every computer with an up-to-date web browser is ready to access TimeIPS. No software to install or upgrade. If you can surf the web, you can use TimeIPS. Since TimeIPS is a web-based interface, any and every computer with an up-to-date web browser is ready to access TimeIPS. No special hardware is required, however TimeIPS offers walk-up clocks, badge readers, relay controls and other hardware you may wish to use. 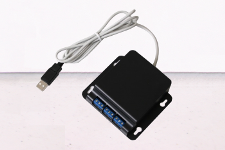 TimeIPS Servers : are "network appliances" that plug into your local network. 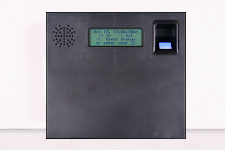 Network Time Clocks provide walk-up clocking for employees and require an Employee Identification Device. 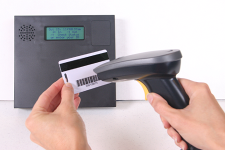 This device can be as simple as a keypad where an employee enters their personal identification number (PIN), or can be a badge or barcode reader. Telephone Clocking provides a voice-driven menu that allows employees to call in to clock in, clock out, check status, change jobs and more. Relay Controls provide control over electronic devices including bells, lights, buzzers, door locks, etc., at clock event or specific time when programmed.